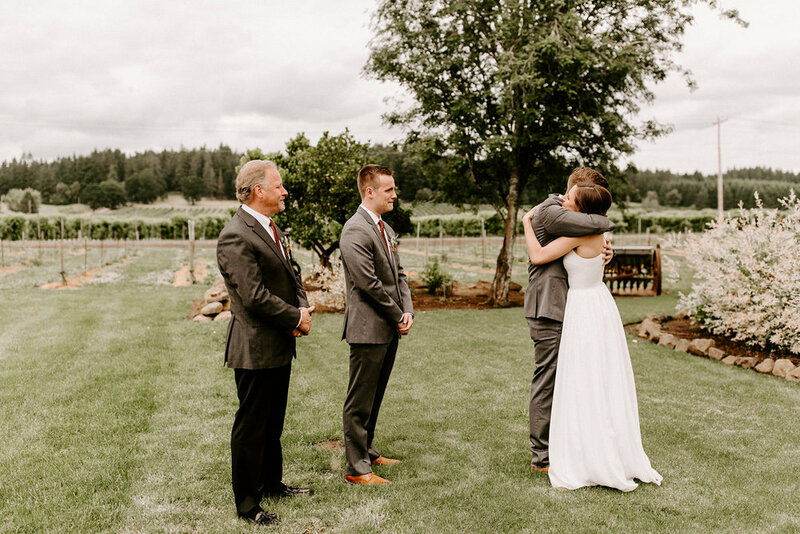 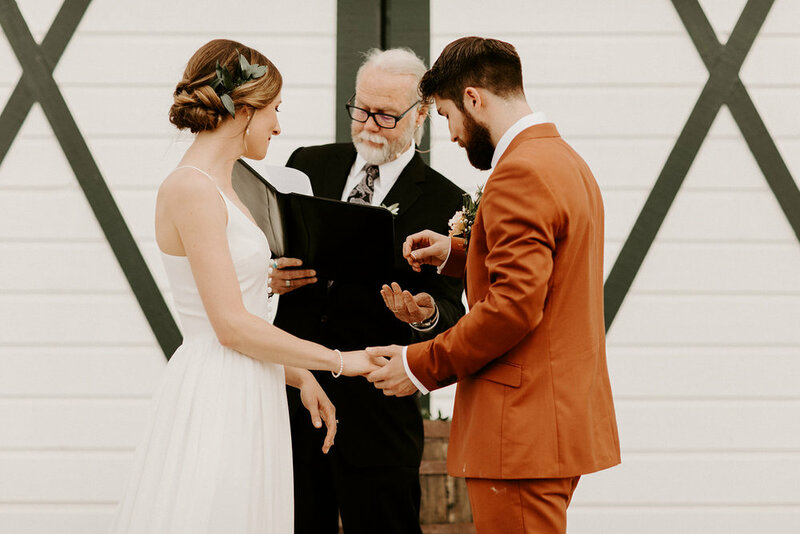 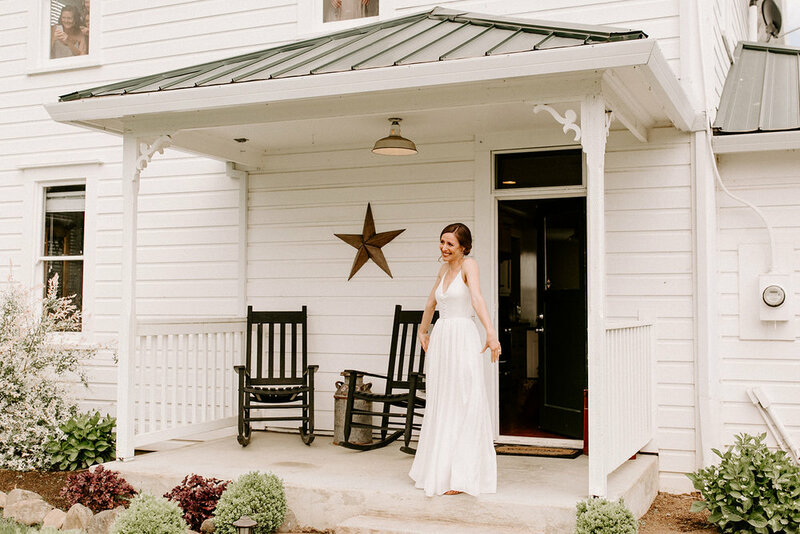 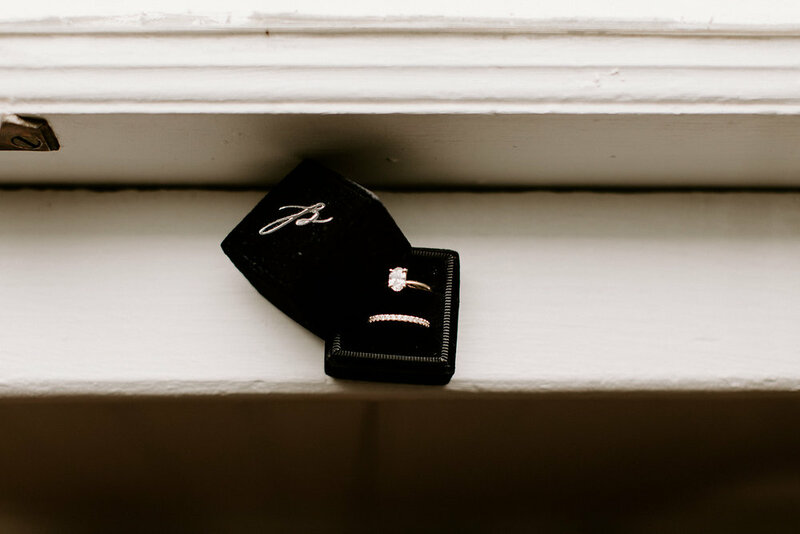 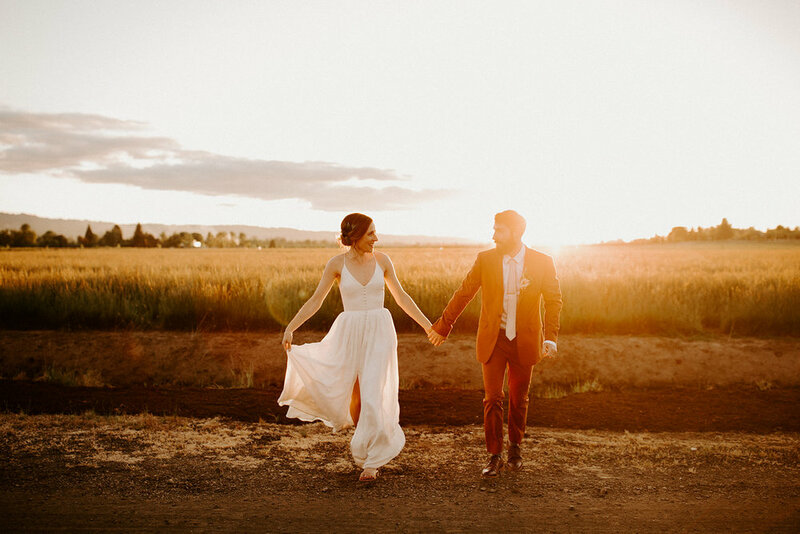 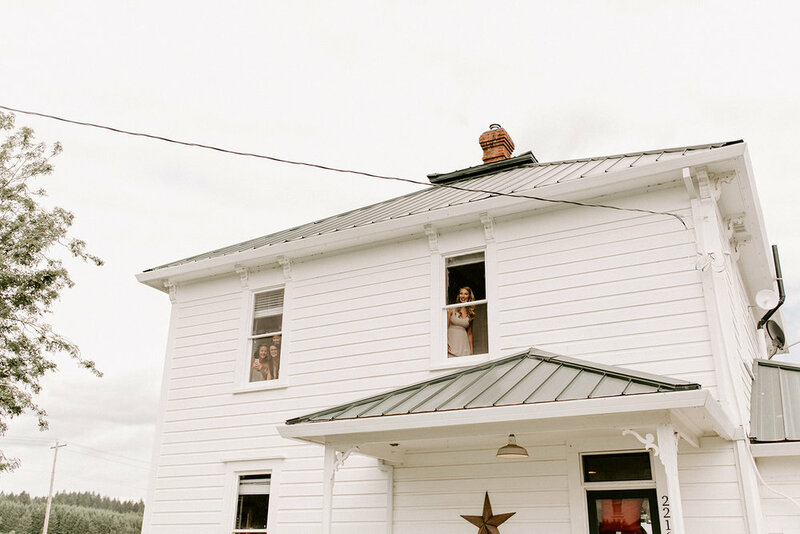 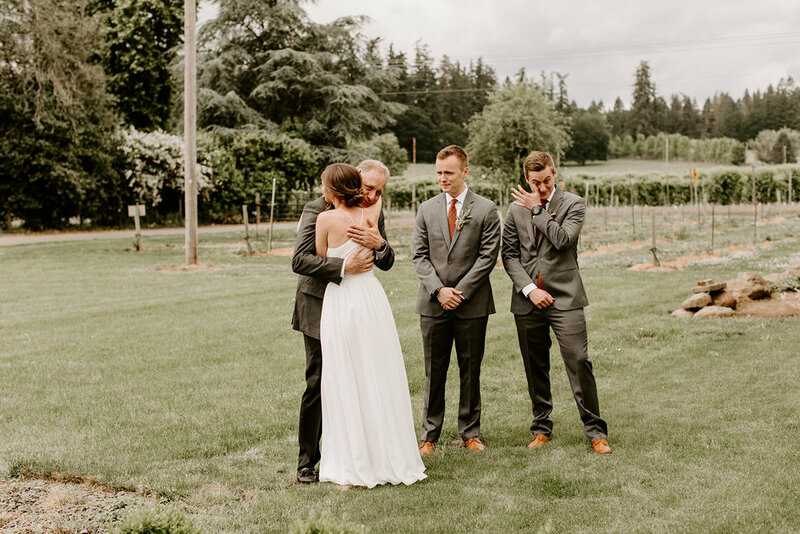 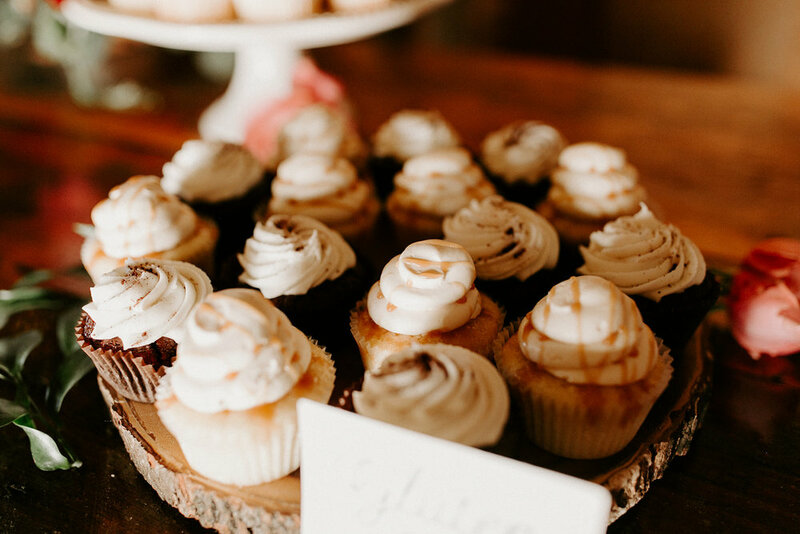 Everything about this sweet wedding had us in tears. 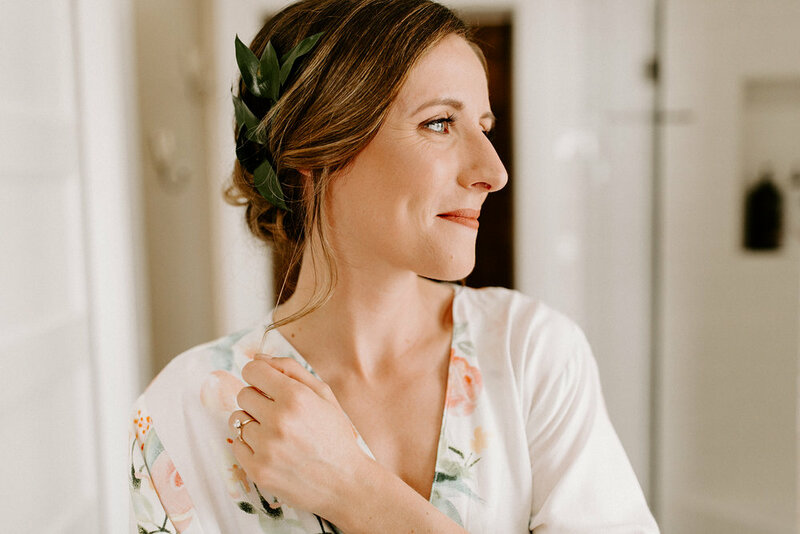 Sarah came to us 2 months before her day and needed help with some execution. 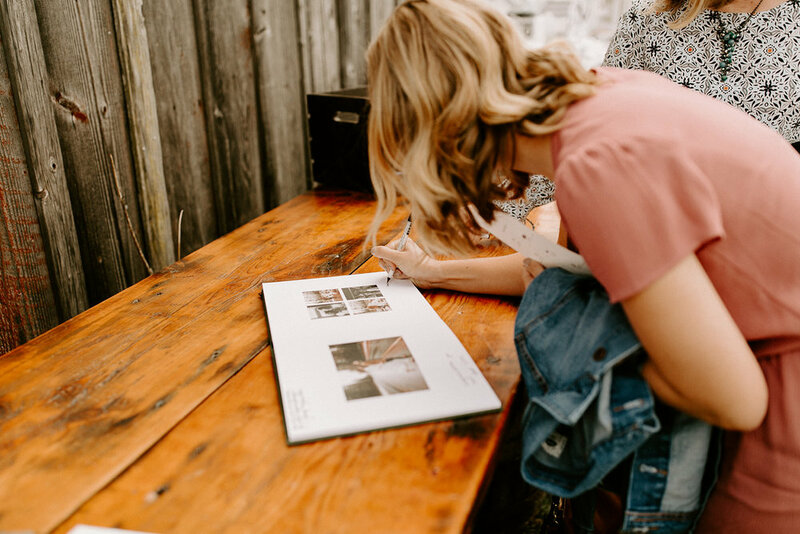 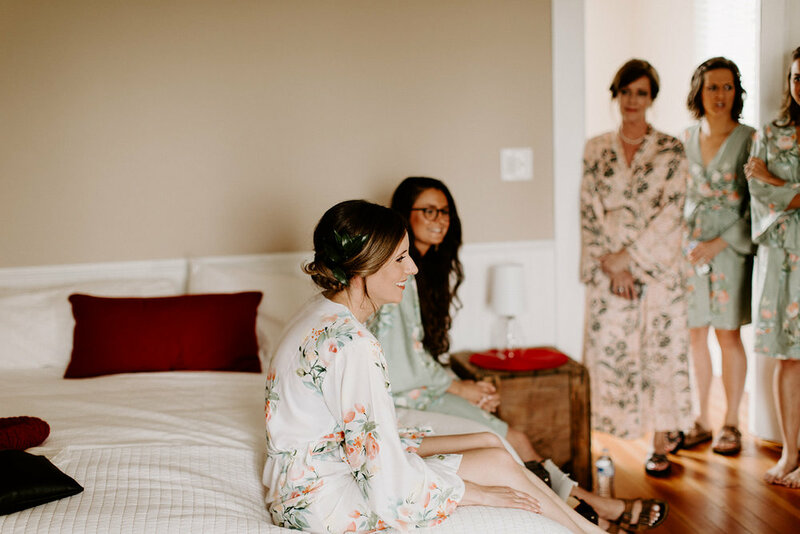 Mind you, she was a VERY organized bride - with floor plans already made that had me asking HER if she wanted a job… we got pretty well you might say. 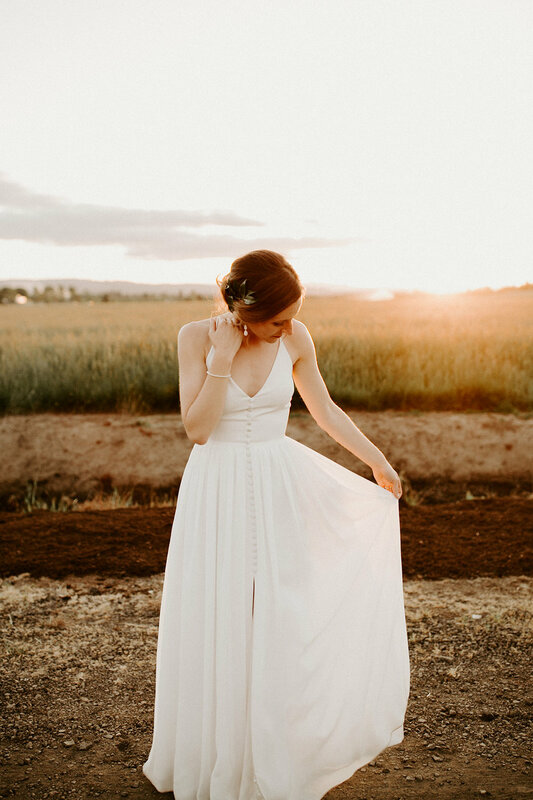 I instantly fell in love with her and her and Stevens story. 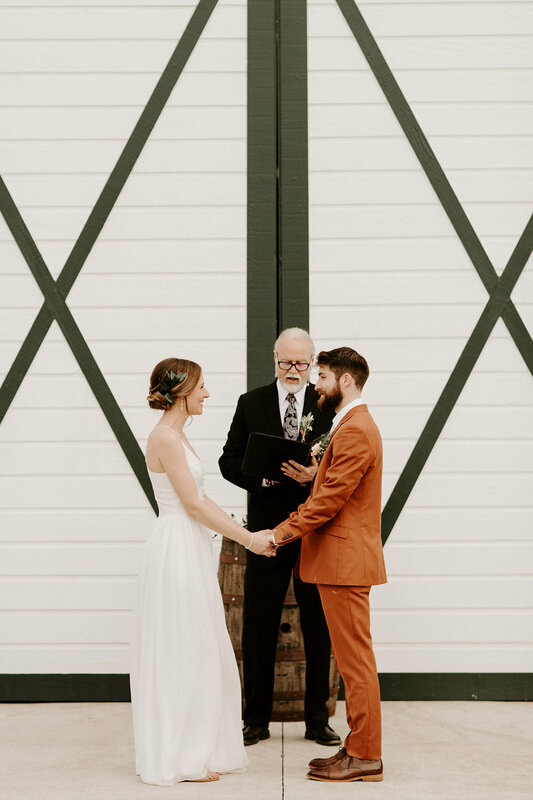 I wanted to be a part of her day in anyway she needed, plus some. 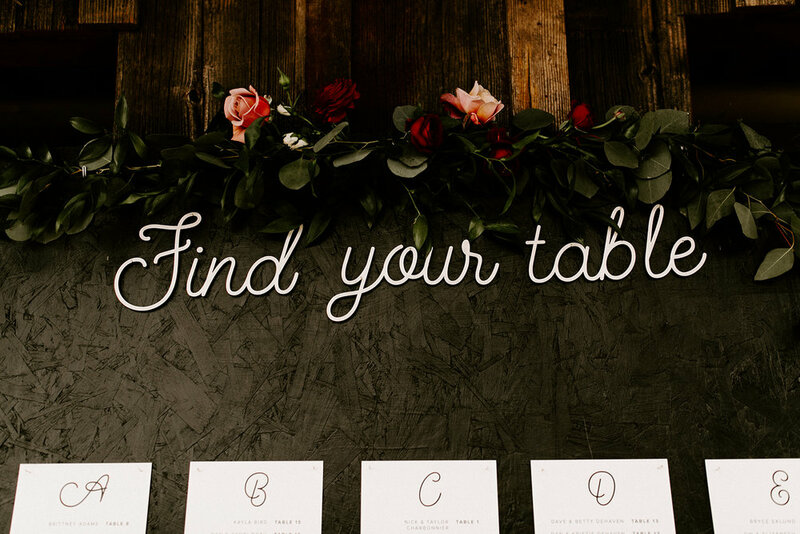 She gave us free reign to design and style her dinner tables within her budget and so we did. 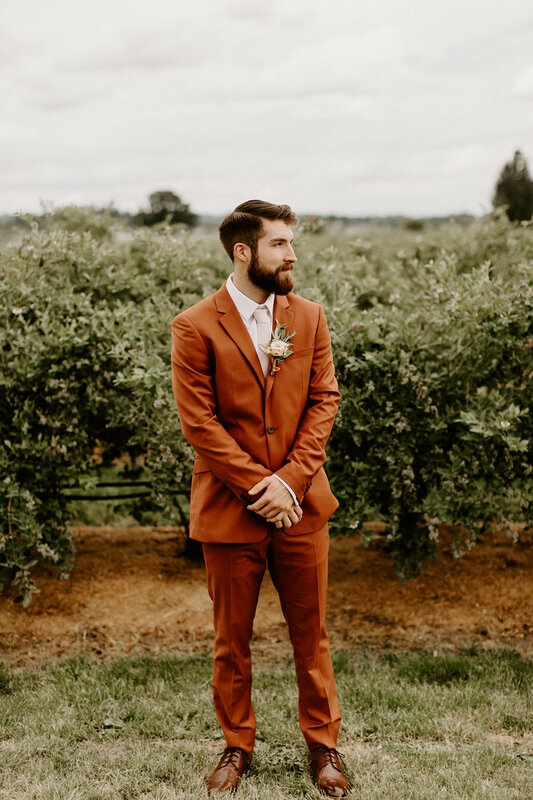 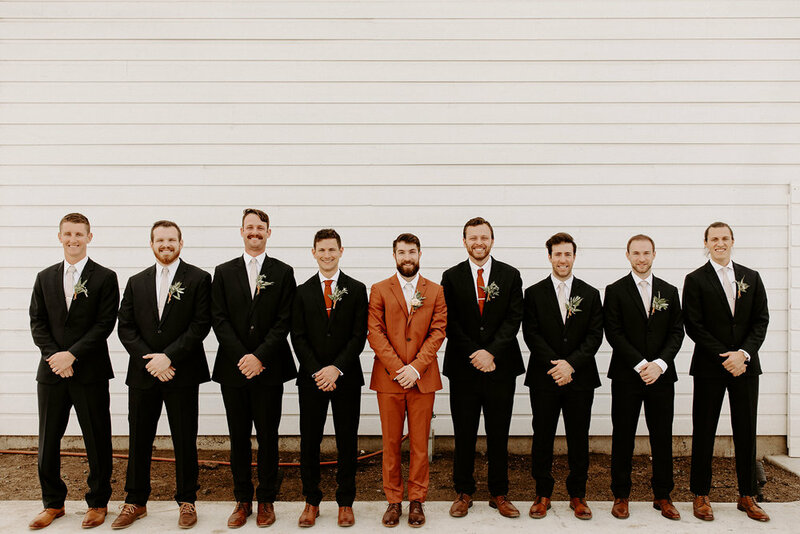 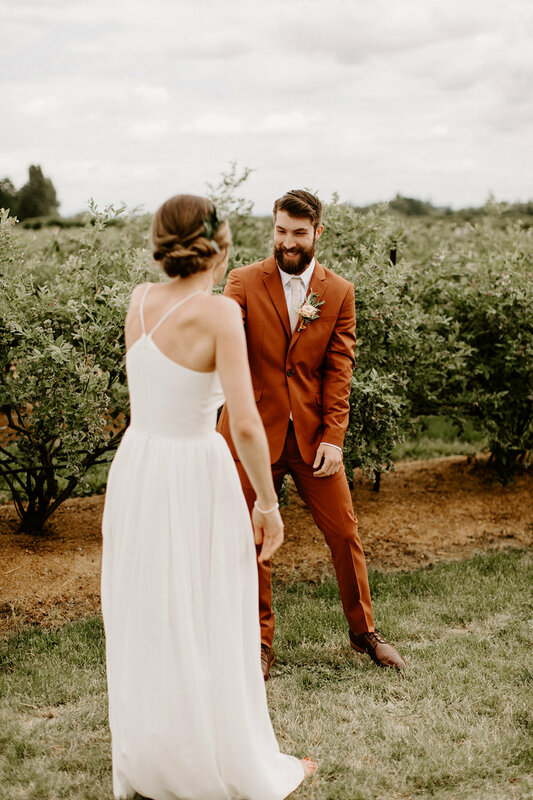 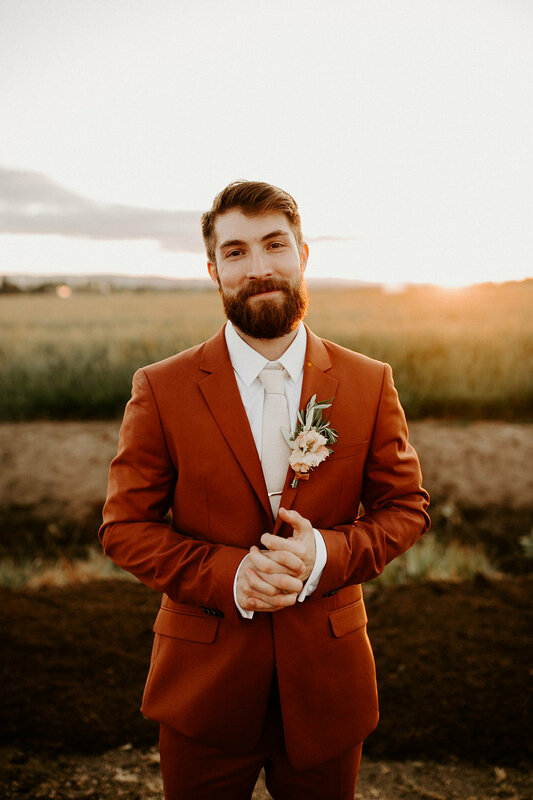 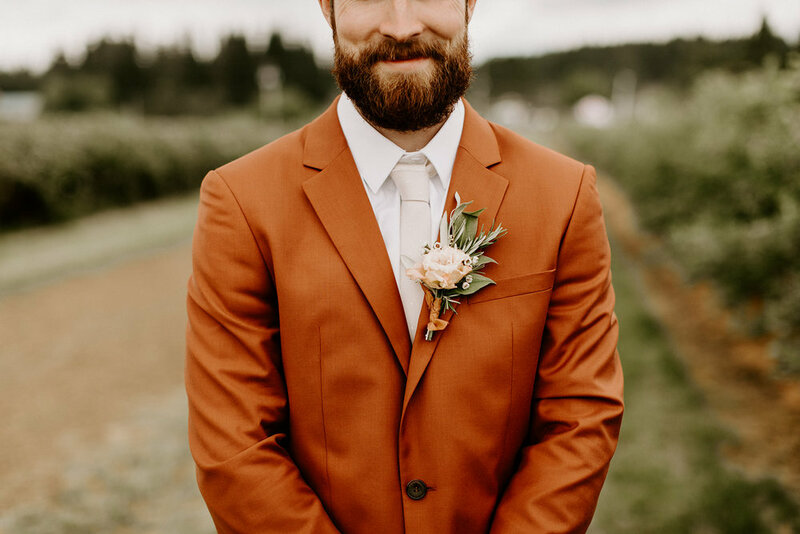 Bringing in colors from all the elements including some seriously rust vibes stemming from the Tobacco colored suit that Steven wore. 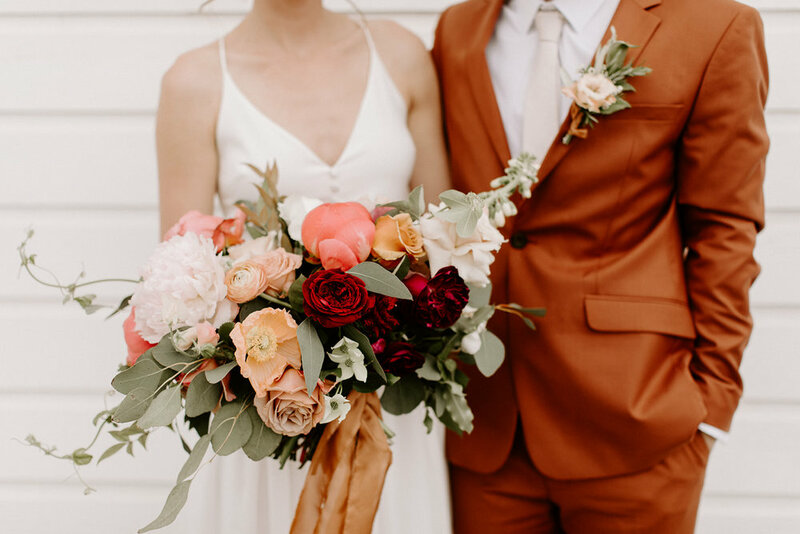 These colors, the florals, the details and the crazy love these two had for each other put us over the edge. 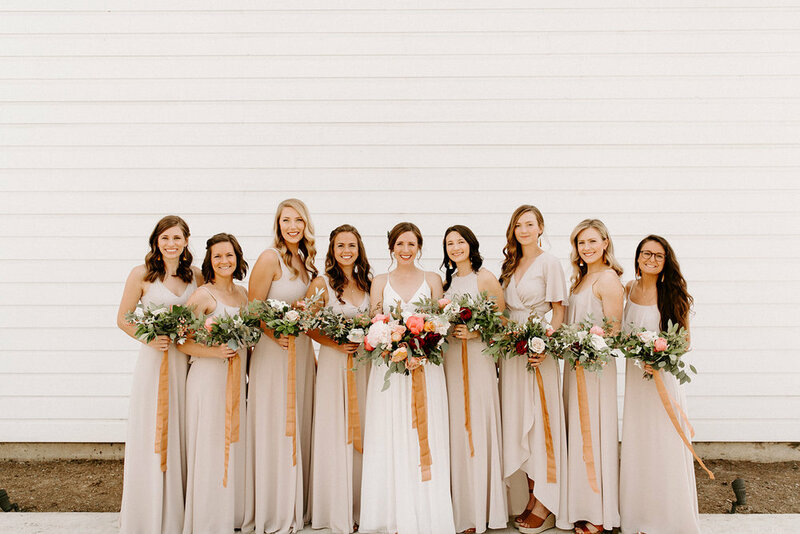 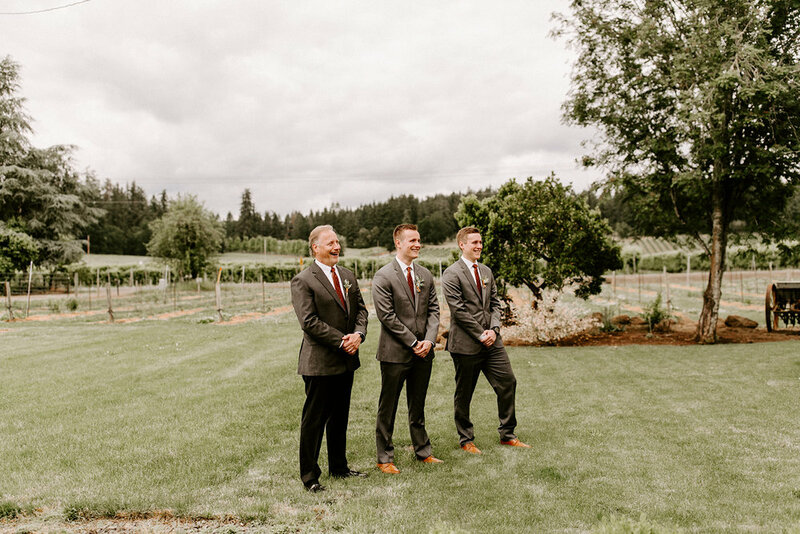 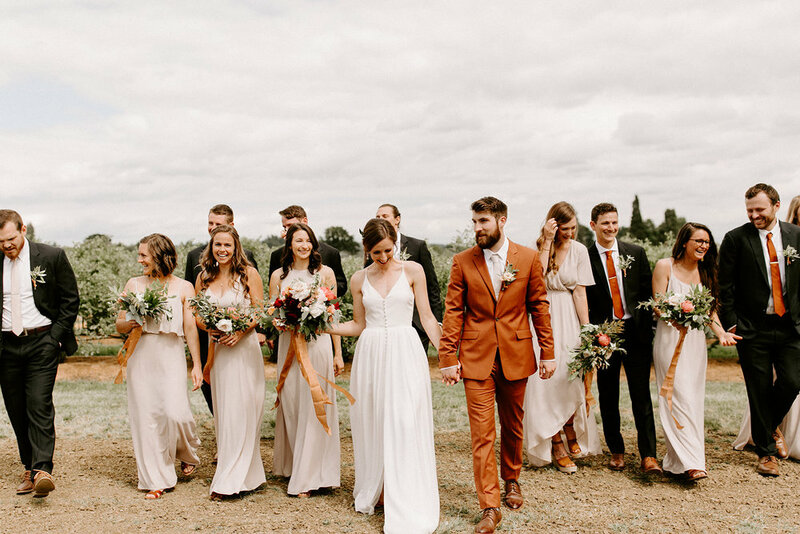 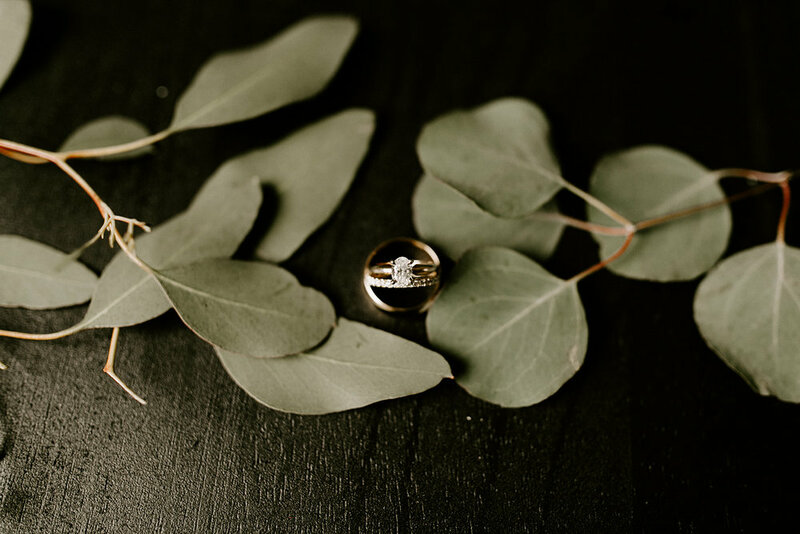 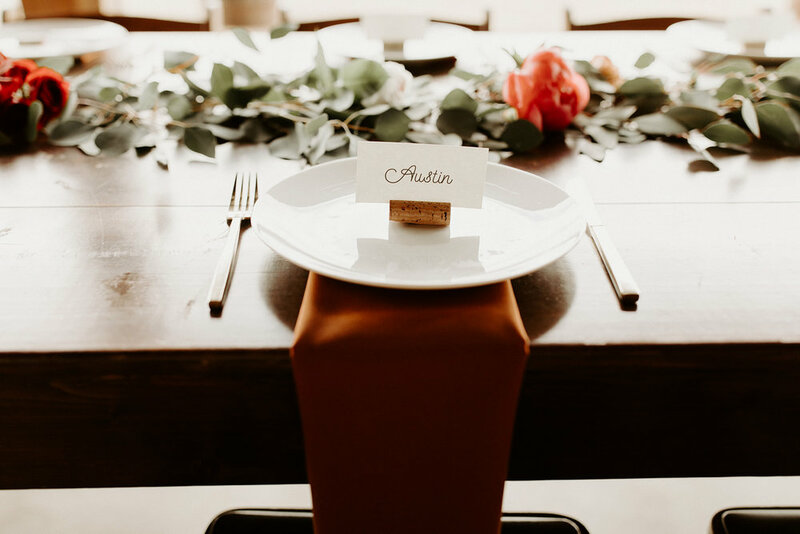 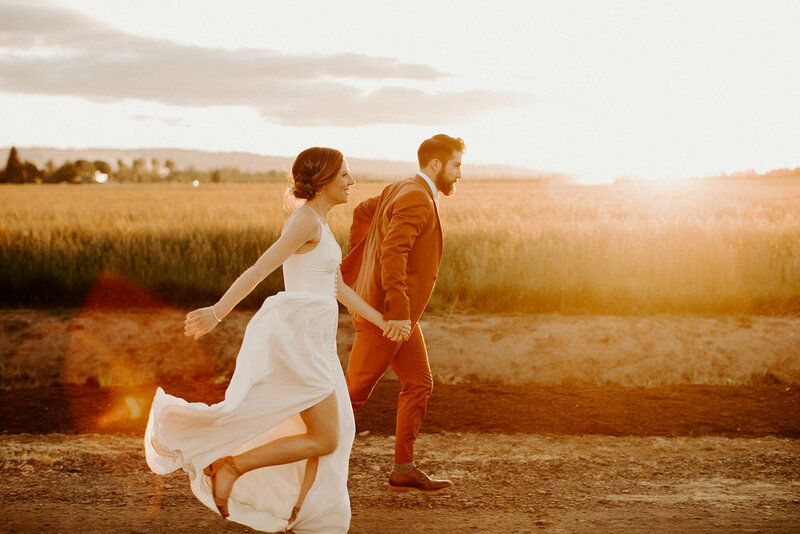 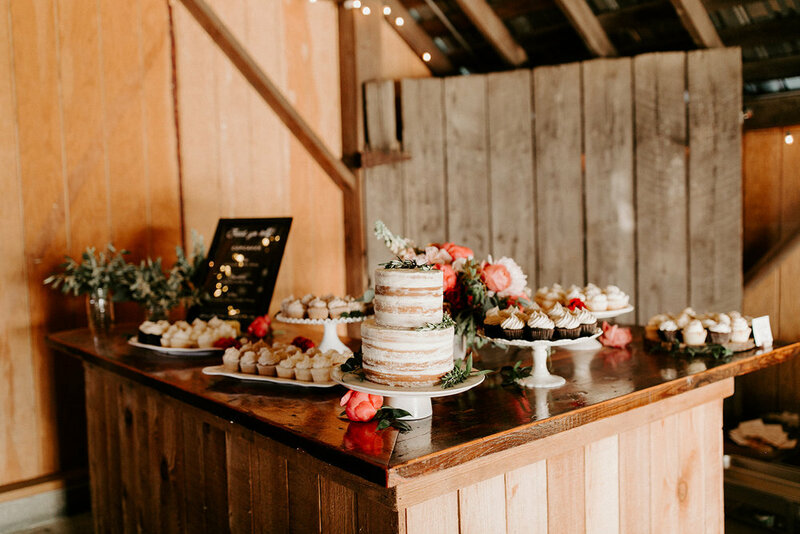 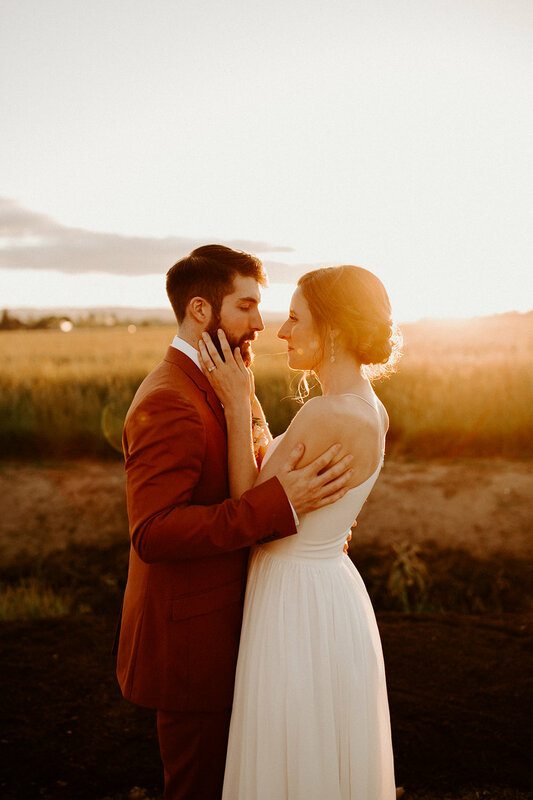 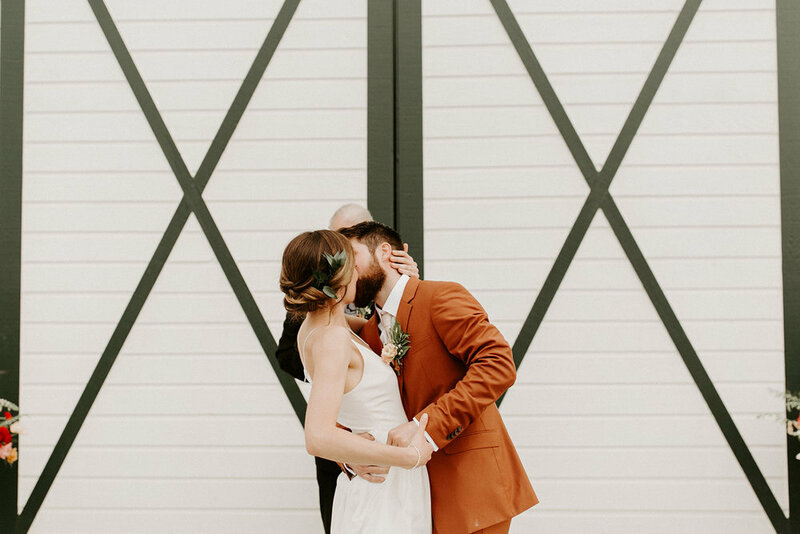 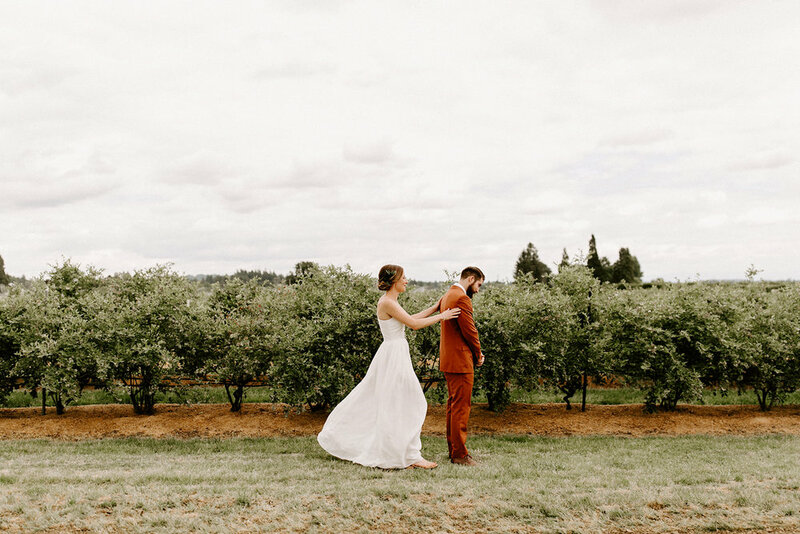 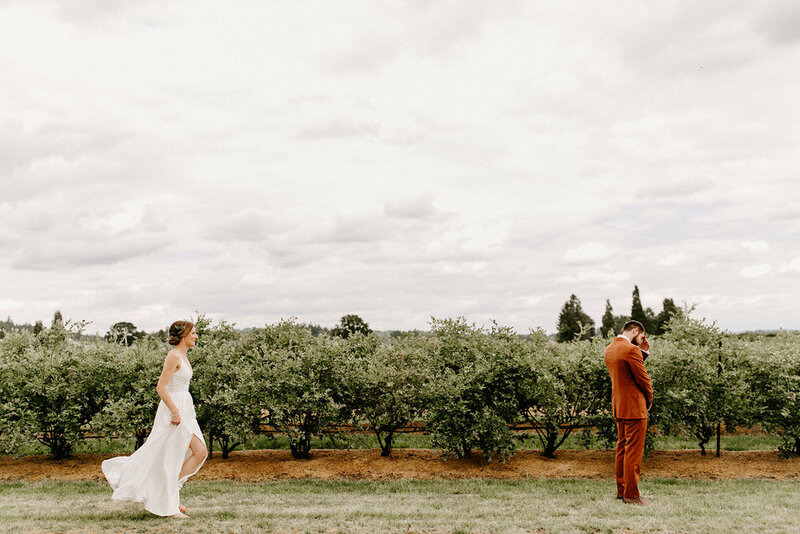 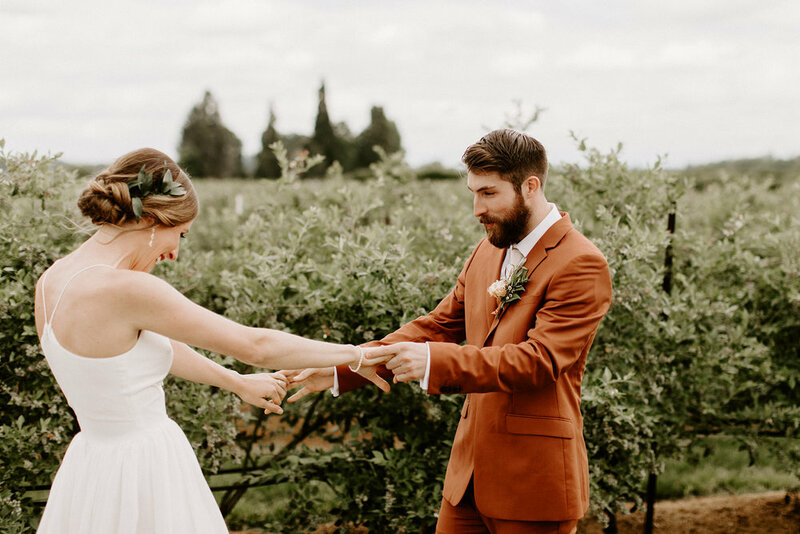 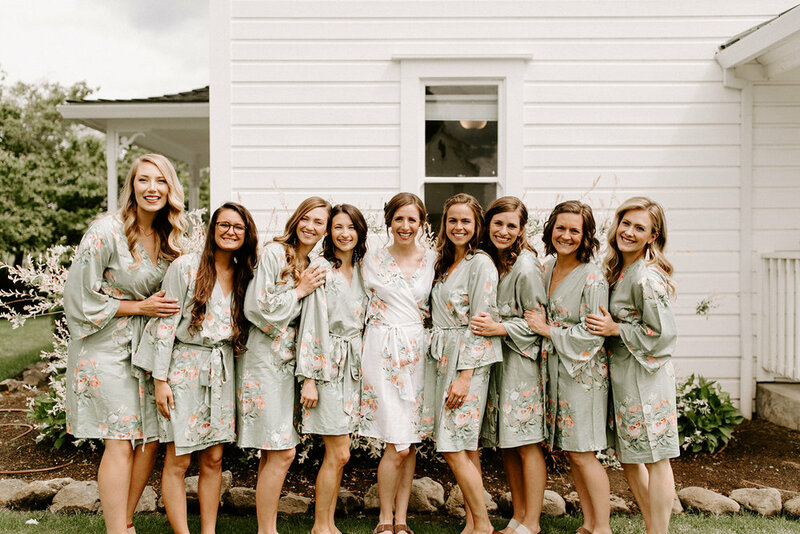 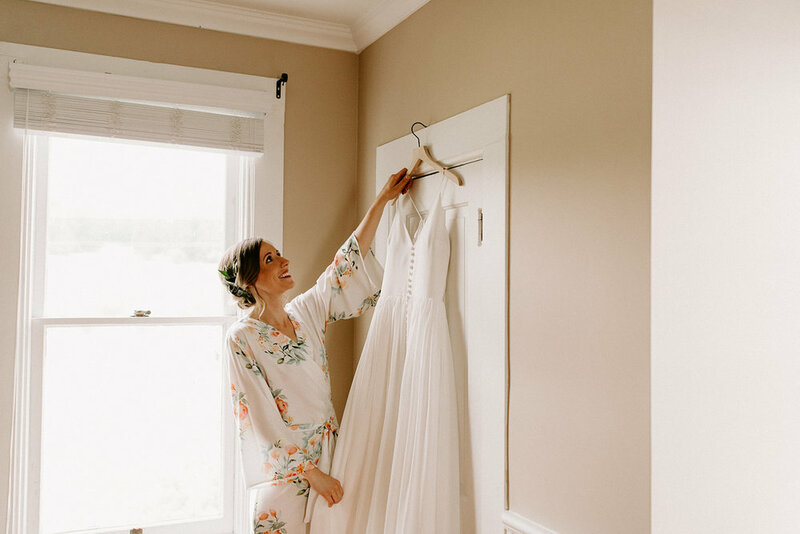 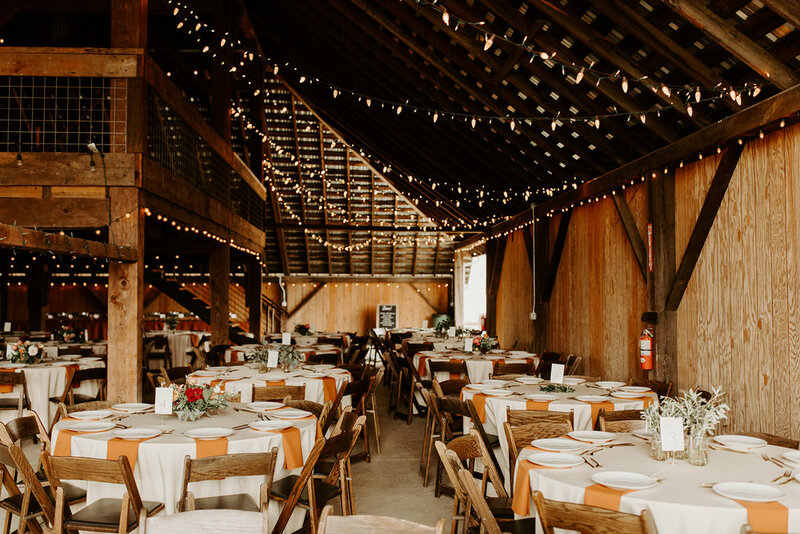 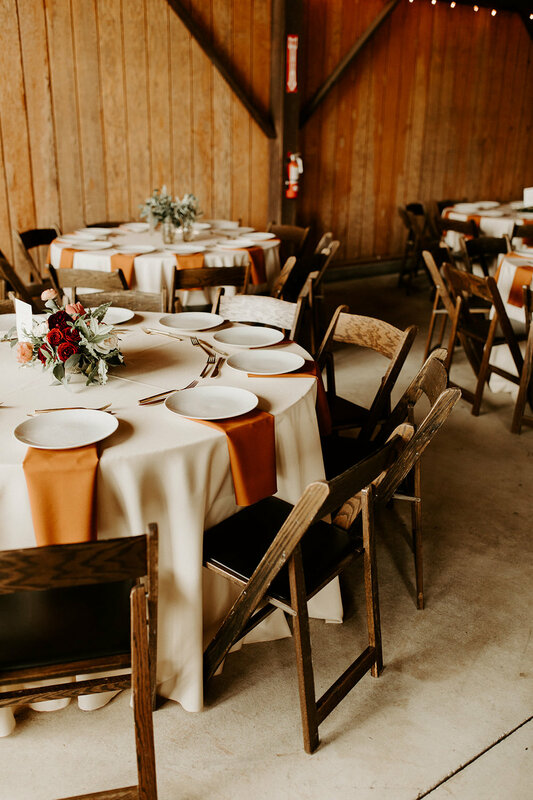 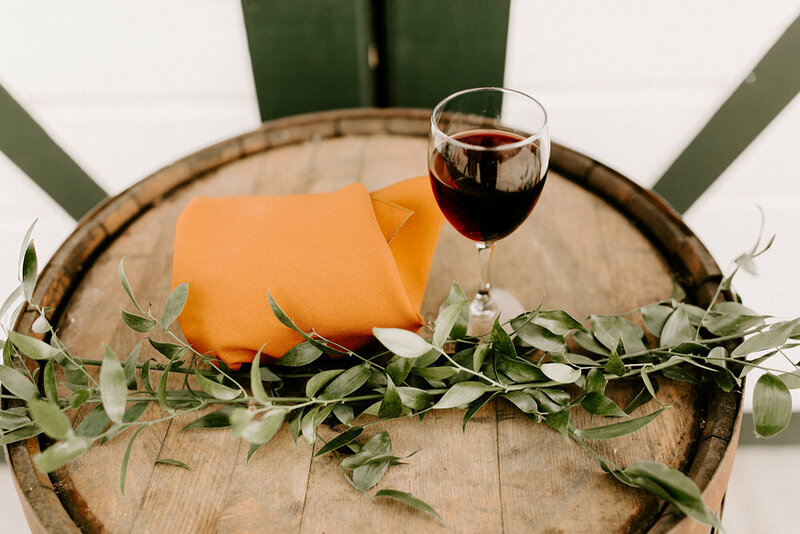 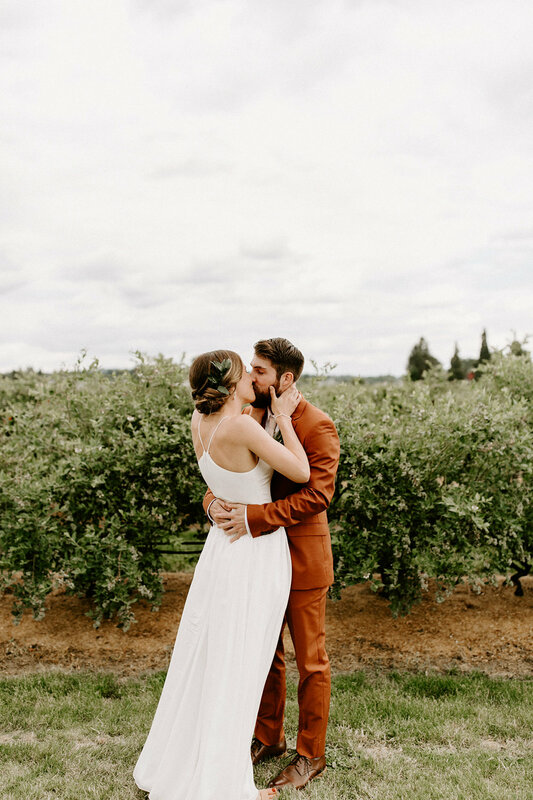 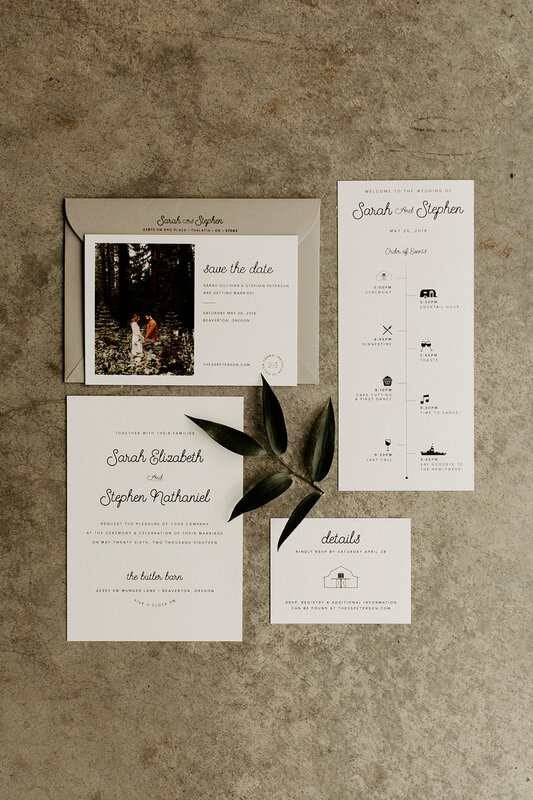 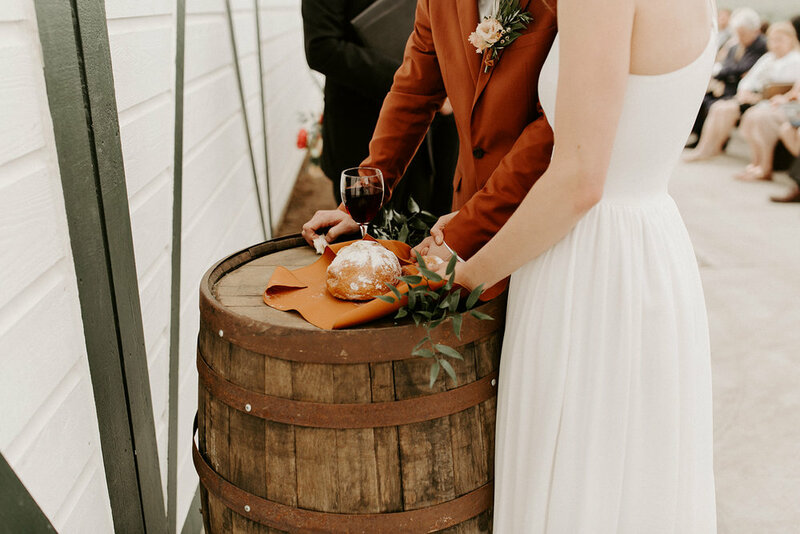 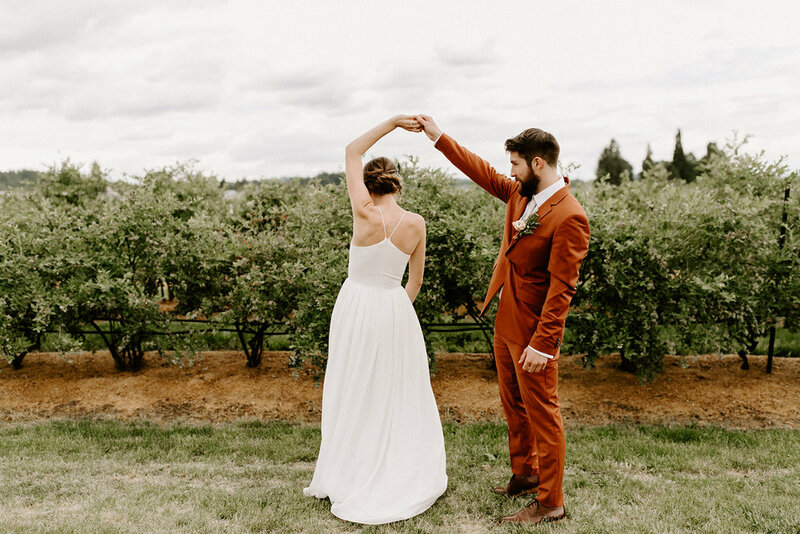 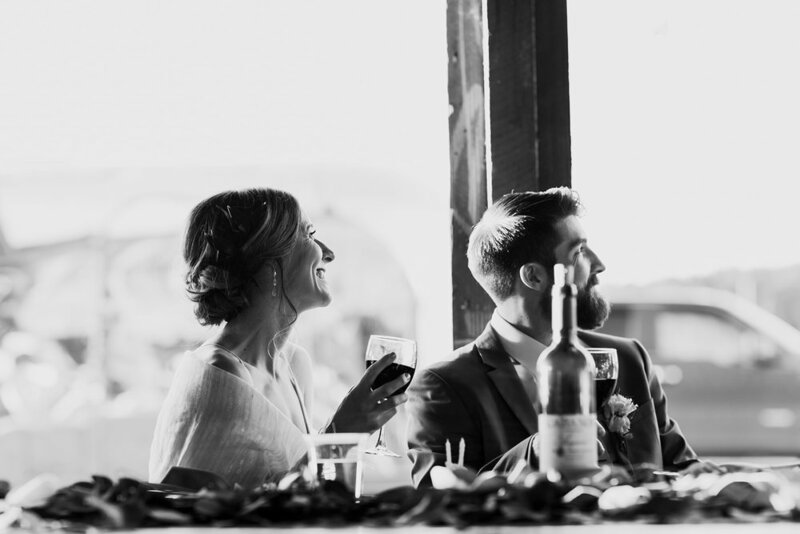 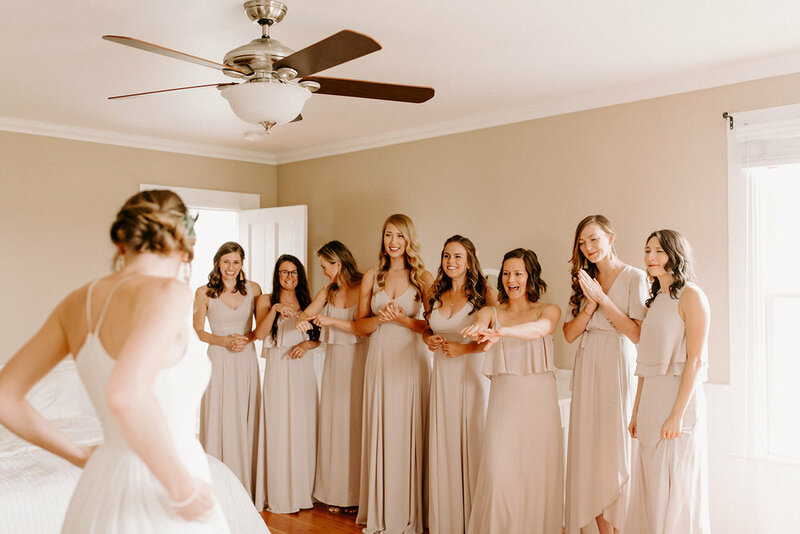 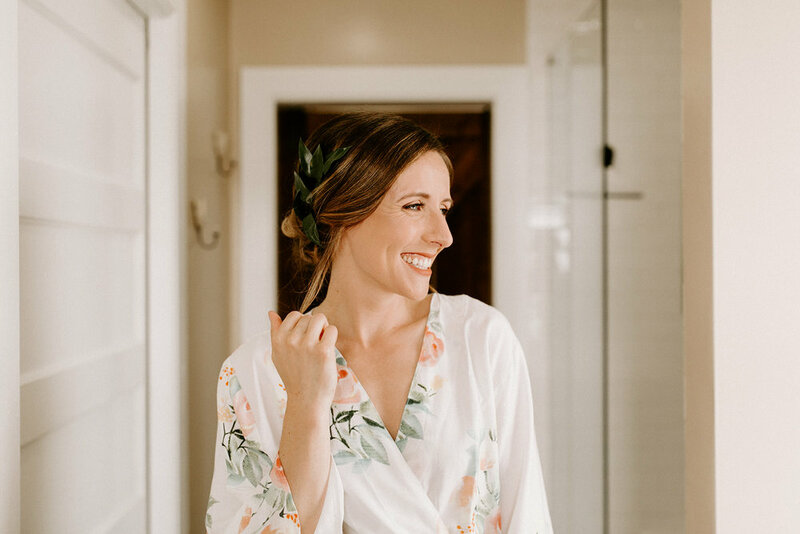 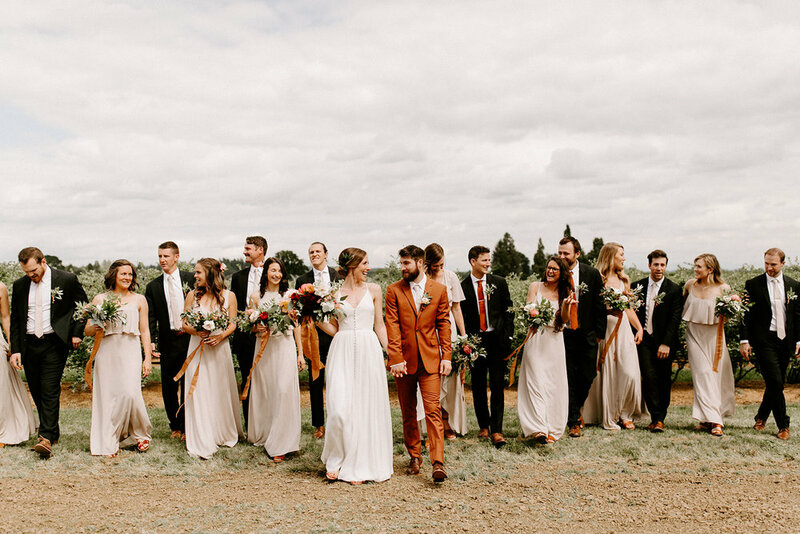 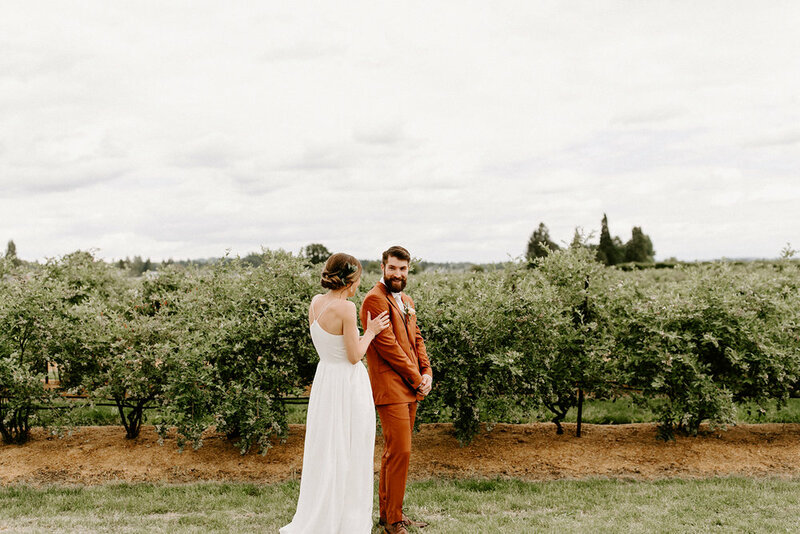 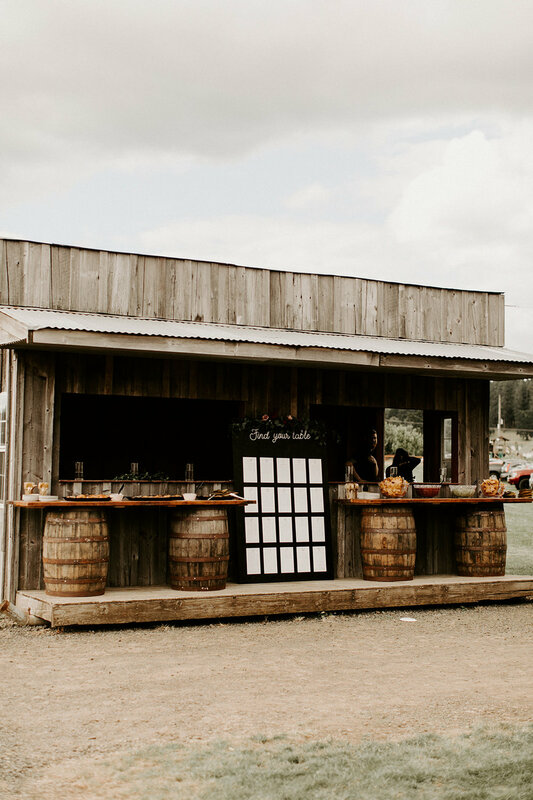 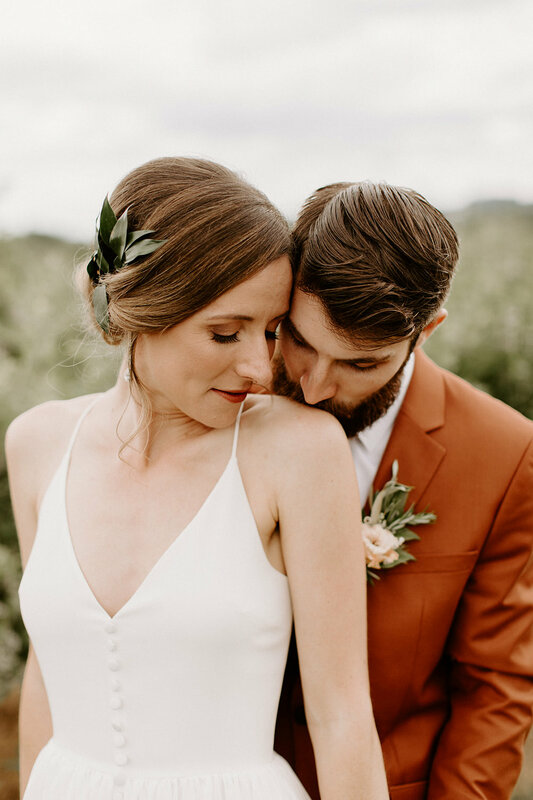 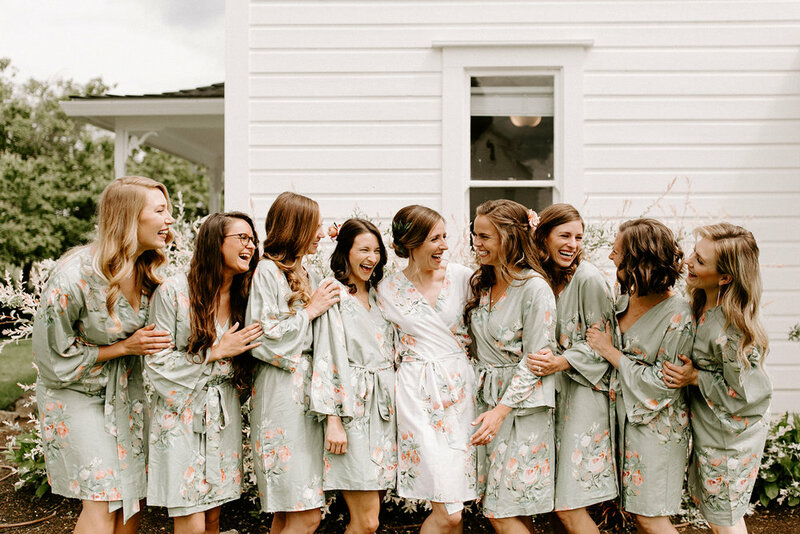 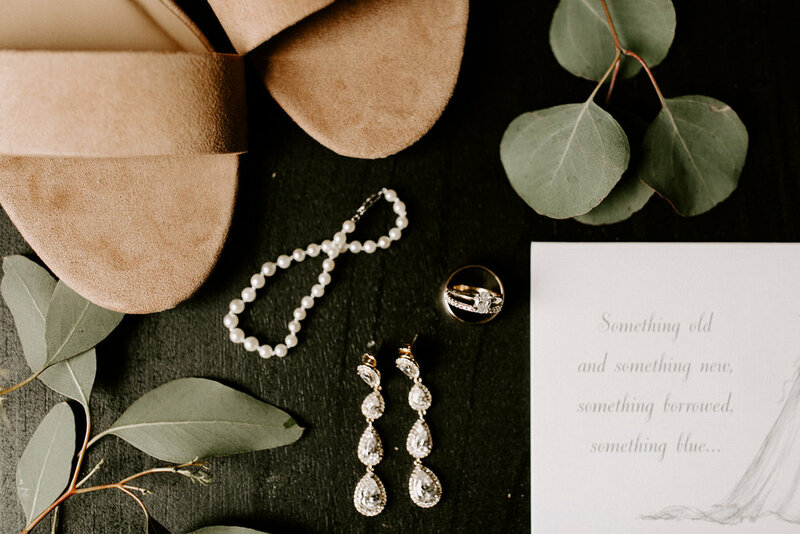 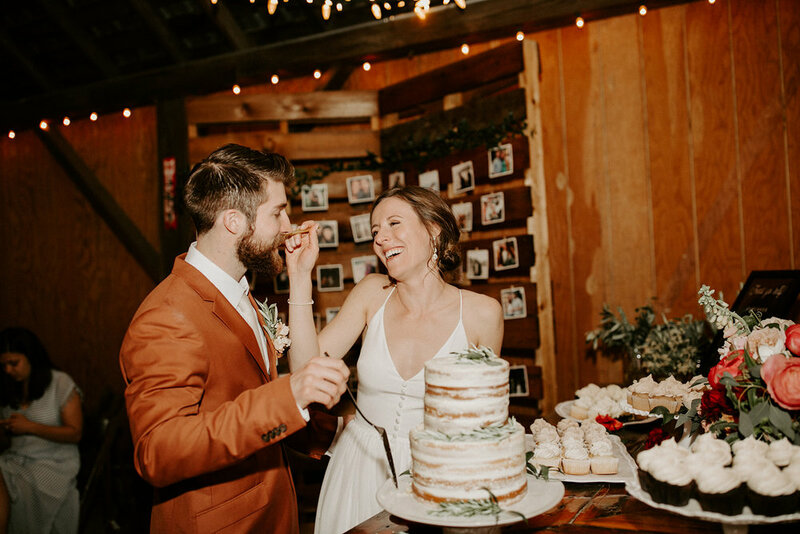 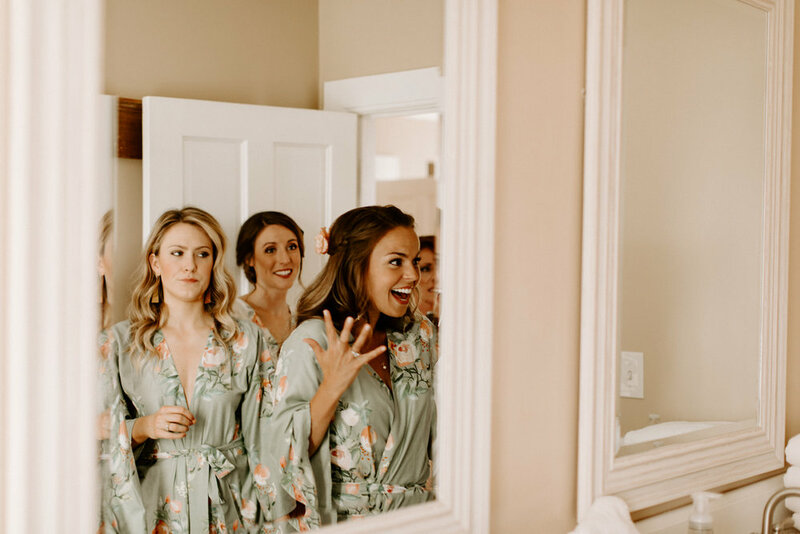 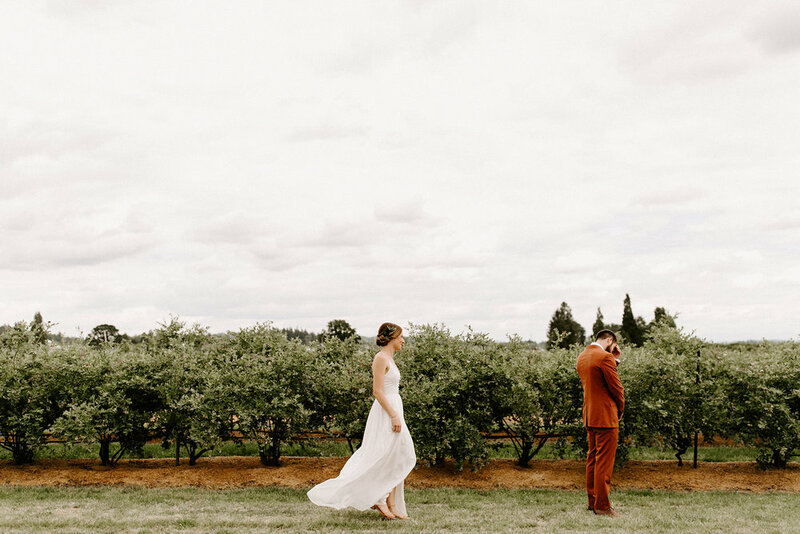 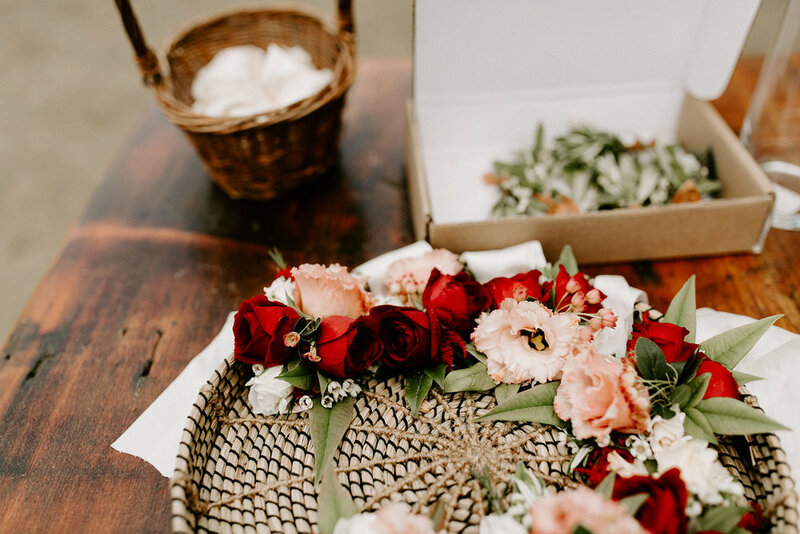 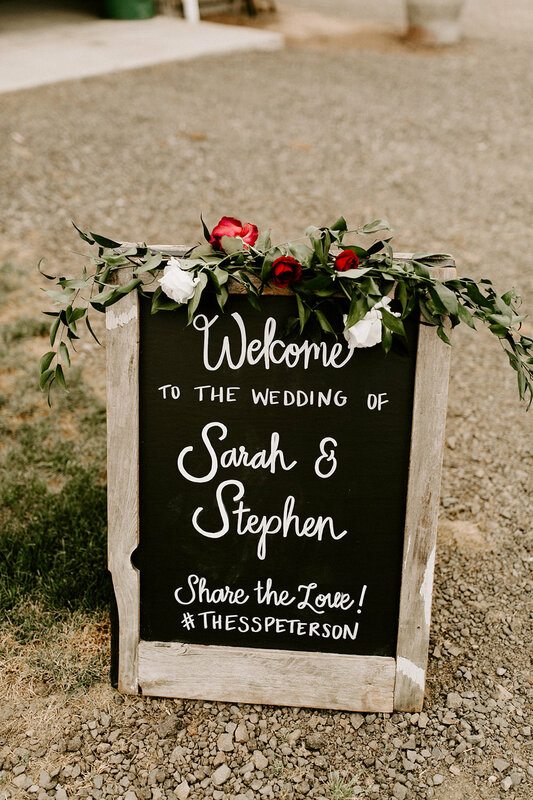 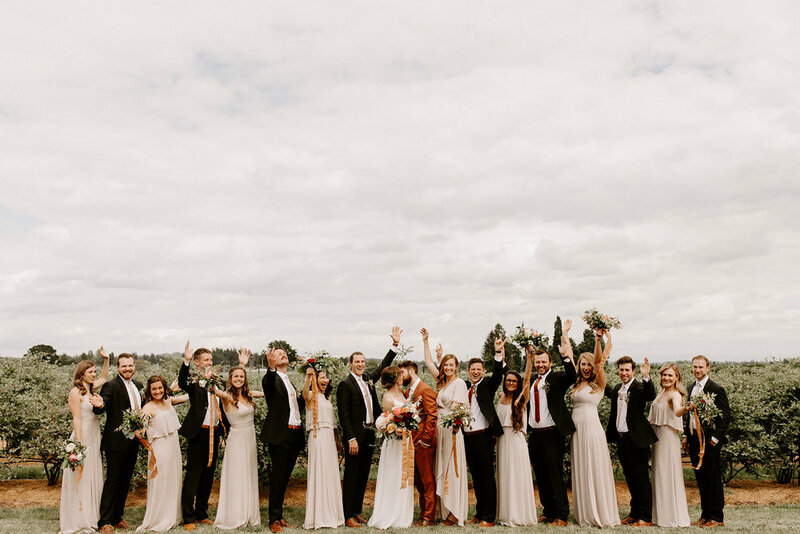 We adored styling this wedding and are so pumped to share it. 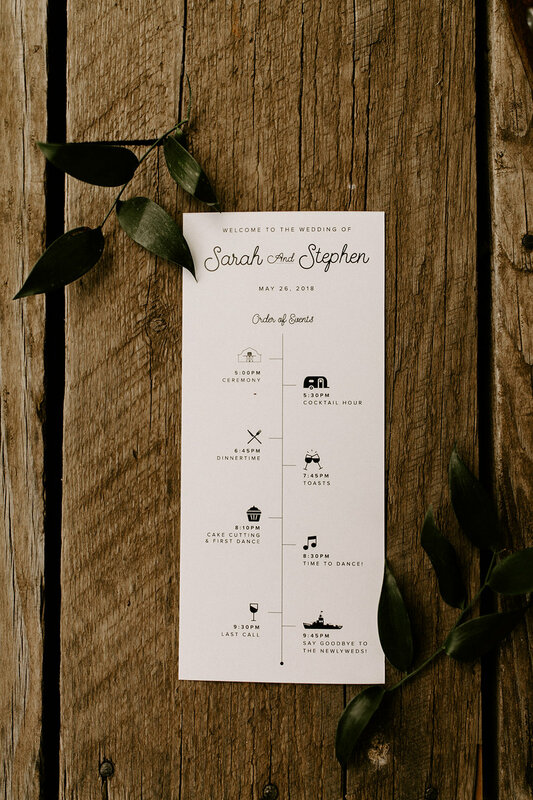 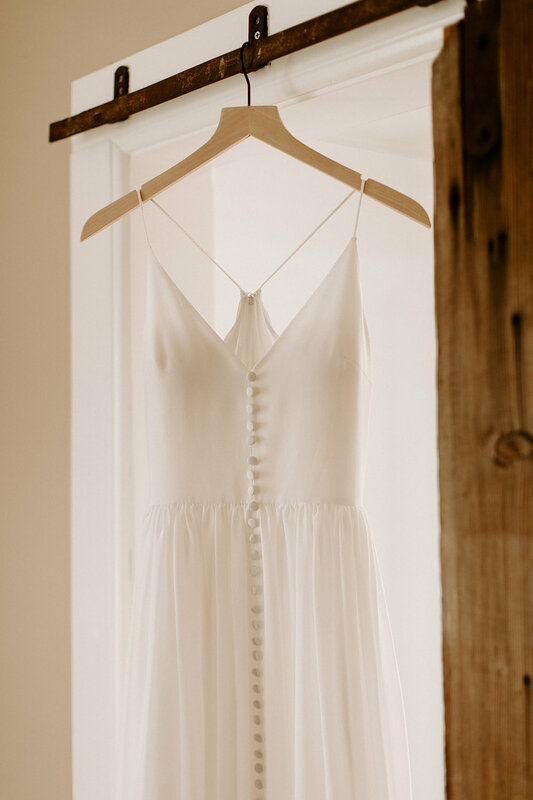 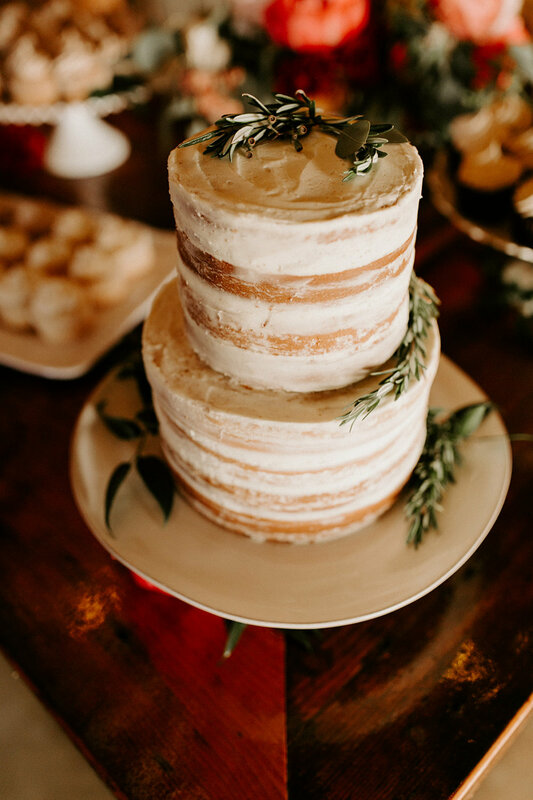 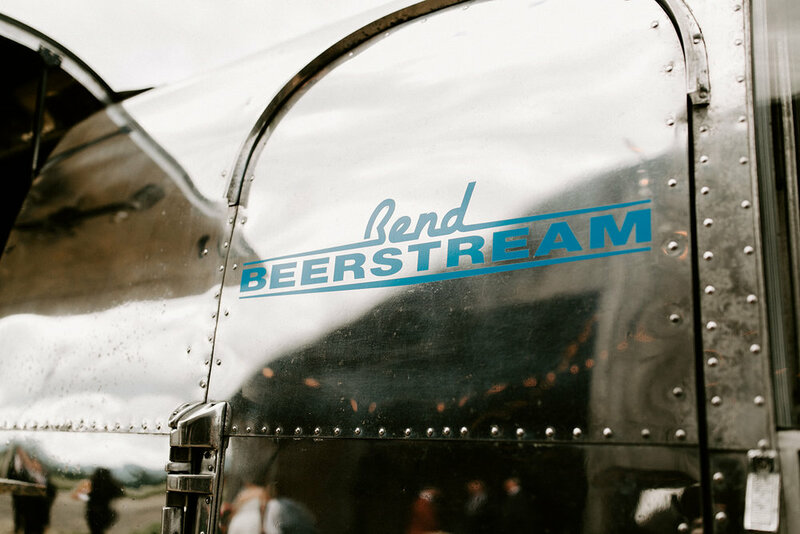 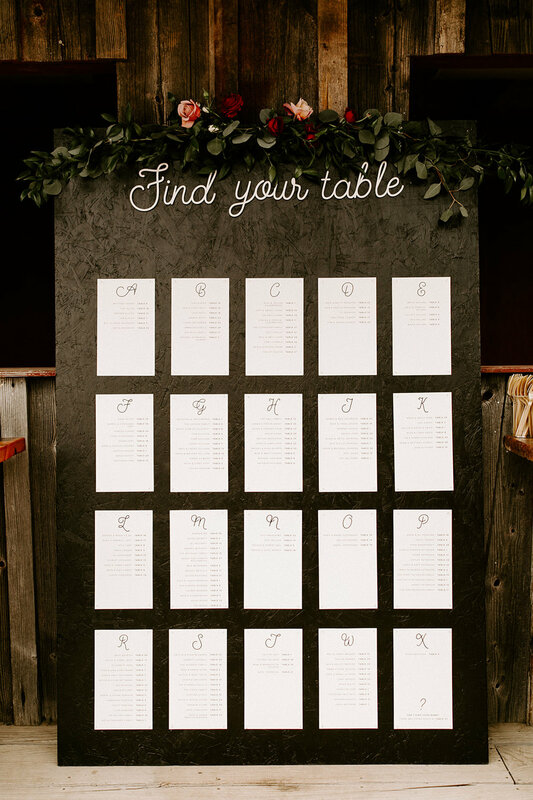 For even more goodness - check this baby out at JuneBug Weddings!